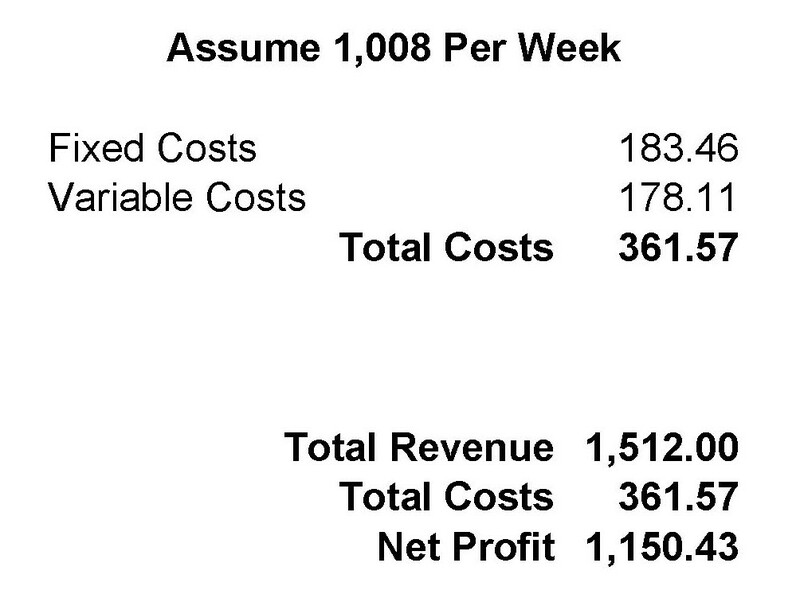 home » Budgeting, Pricing, and Return on Advertising Investment (ROAI) » Can Breakeven Analysis Predict Your Coupon Success? Pretend with me that you own a snow cone cart (or as they call it in the South, “shaved ice”). You’ve mentioned to a friend that your sales are ok, but that your business isn’t growing. She suggests that since people love a bargain that you distribute a “buy one get one free” coupon. Can You Predict the Impact of That Coupon? Yes, I believe that you can. You financed the cart and are paying $200 per month for it. You pay $300 per year for your license to sell food. Your liability insurance runs $600 per year. You use $15 of dry ice each day to keep your shaved ice cold. You use your car to tow the cart to the public park in which you sell your cones, and spend about $30 per week in gasoline. 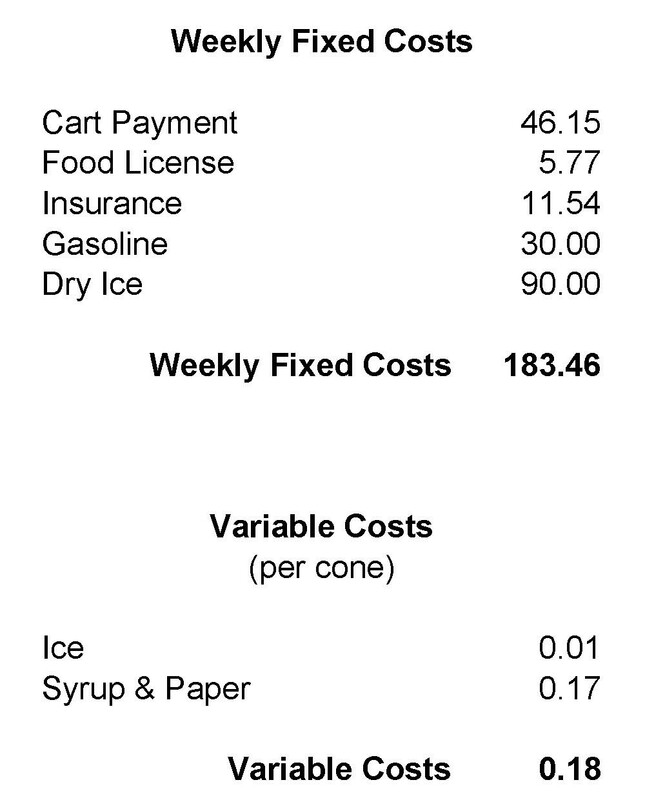 You use roughly $0.17 in syrup, paper cones and napkins for each snow cone served. You purchase your ice for $0.80 per bag, and use roughly 5 bags each day. (Some always melts by the end of the day and is wasted, but it’s better than being caught short). Oh, and you sell ‘em for $1.50 each. Assuming that demand is roughly 14 cones per hour, and you are open from 10am to 10pm six days a week, what’s your weekly revenue and net profit? Now, what’s likely to happen when your “buy one get one” coupons are distributed and redeemed? People won’t drive clear across town to save $0.75. Your coupon renewal will happen within a six to ten block radius. These are already your regular customers. But then, some of the regulars who haven’t been by in a while will be reminded by the coupons. And, of course, there are always going to be people who have never bought before. Let’s make some assumptions, shall we? 1) The coupons will boost your business by 6 redemptions per hour (12 cones). 2) Three of those coupons will be renewed by your existing customers. In other words, your gross sales will increase from 12 to 18 per hour, but you’ll be dispensing 21 cones per hour – 210 and 252 per day, respectively. So, are the coupons a good idea? Can you apply break even analysis to your next promotion? Finding the bait with the top ROI is of major importance when you’re fishing for customers. 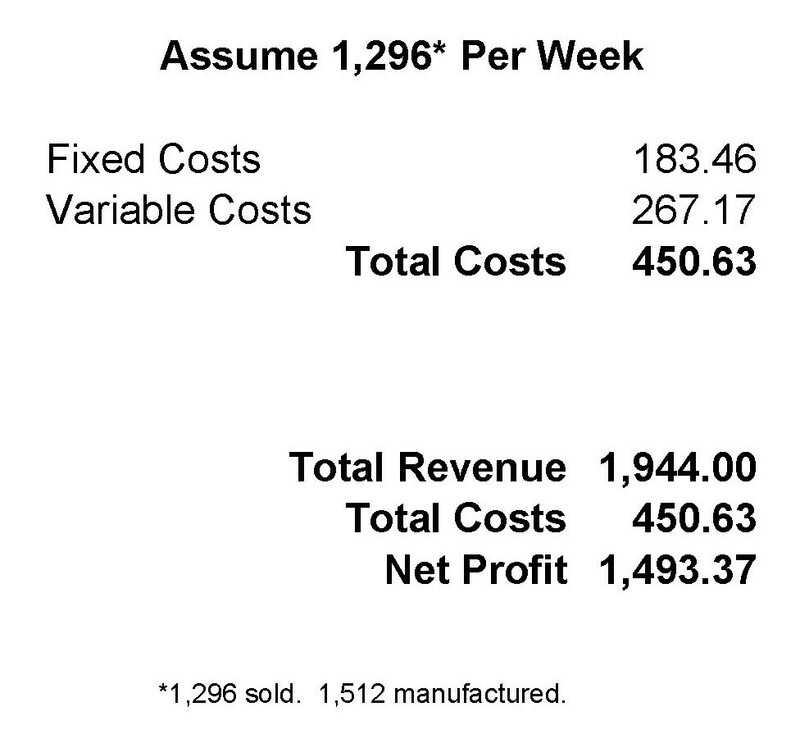 Got questions about couponing, or about breakeven analysis? Drop Chuck a note at ChuckMcKay@ChuckMcKayOnLine.com. Or call him at 760-813-5474.